Our office is conveniently located near Chipman and Commerce in Lee’s Summit. We are the sole occupants of our building, so parking is always ample and right in front of the door. If you need detailed directions, call the office; we would be happy to provide them to you. To schedule an appointment, call 816-347-0064. Our office strives to make it easy for you to get an appointment that is convenient for you. If your child is sick, he/she will be seen the same day. We have made our office accessible before school or work with morning urgent care. We also offer evening urgent care if your child becomes ill after school. We will try to accommodate well child visits, sports physicals, and ADD/ADHD check-ups in a timely manner. However, it is always better to plan ahead for these types of physicals so that an appointment is available at the time and date of your choosing. A list of all current medications with dosage amounts. A list of all of your medical doctors. Appointment times vary. For new patients, we recommend arriving 15 minutes early to fill out paperwork and to process insurance information. Feel free to download the paperwork from the forms page and complete prior to arriving to speed up the check-in process. Wait times will vary depending on the provider you are seeing that day and the complexity of your child’s illness. Please bring your insurance card to all appointments. The first appointment will vary, depending upon whether the appointment is a wellness check or for illness. With both wellness and illness checks, we will evaluate the child’s growth, immunizations, and treat any current medical condition. When you call for either a well visit or a sick visit, you will be asked which doctor you would like to see. We will do our best to accommodate your request. However, only one provider is available during Urgent Care hours; if you wish to see a different provider you will be asked to schedule an appointment. Every patient at Preferred Pediatrics is regarded as a patient of all of the providers of the practice. Our providers strive to handle our patients’ health concerns with comparable consistency of care. You should feel comfortable with any of the providers whenever your child has a health concern. While we recognize that many parents will have a preference for one provider, we will honor the patient’s request to see a specific provider as long as there is an available appointment for the requested doctor. If the doctor you prefer is unavailable, we will inform you and will offer another provider that is available. I am a former patient but have not seen the doctor in over a year. Will there be paperwork or anything else required? Yes. Plan to arrive 15 minutes early if you are a former patient and have not been seen within the past year, as you will need to update your information. Any and all insurance changes need to be reported as well as any changes of address, telephone numbers, or employment. You can access these required documents in advance via the Forms link. The providers of Preferred Pediatrics are part of most major health plans. However, we recommend that you check with your insurance carrier’s Customer Service Department to verify that we are a provider on your particular plan and that one of our providers is an in-network primary care provider. Our office takes all the Medicaid insurances. 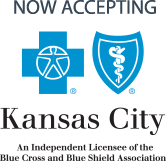 If you currently have one of the Marketplace insurances please contact our billing office at (816) 246-9167 for assistance. Preferred Pediatrics wants all patients to have affordable access to healthcare. We will not turn away a patient because they do not have insurance. We offer appointments to those without insurance at a very reasonable rate. “Self-pay” patients are required to pay for the services at the time the services are provided. Our “self-pay” rates are drastically lower than area urgent care or emergency room fees. Please contact us at 816-347-0064 to discuss your situation and make an appointment with our staff. Minor procedures that do not require general anesthesia may be performed in our office. Procedures that require general anesthesia in most cases will be referred to Children’s Mercy Hospital. Depending on the type of form, the Preferred Pediatrics Care Team can often complete your form within 24 to 48 hours. As always, most forms presented at the time of your child’s appointment will be completed at that time with no fee. There is a fee for forms that do not accompany a visit with one of the providers. Due to the complexity of FMLA forms, please allow 3-5 days for the completion of these forms. In addition, Letters of Medical Necessity may also take an extended amount of time to complete. Fees are determined by the form/letter and length. The Preferred Pediatrics Care Team will refill medications refills from the pharmacy or via the phone nurse normally within a few hours. ADD/ADHD medications must be picked up by a parent and will require 24 hours. We ask that in most cases you monitor your child’s medication responsibly and call for a refill appropriately. Medication refill requests are discouraged after hours, as it is difficult to complete without access to your child’s information. Also, refills will not be distributed to those who are not current on Well Child, Asthma and ADD/ADHD check-ups. Effective 11/1/2009, Preferred Pediatrics requires valid photo identification issued by a local, state, or federal government agency. This is a requirement mandated by the Federal Trade Commission (FTC) as part of the Red Flags Rule. Please see the FTC website (www.ftc.gov) for more information about the Red Flags Rule and Consumer Protection. We DO have an immunization policy. Our Providers believe strongly in the benefits of routine vaccination. Preferred Pediatrics require that patients be immunized according to the CDC recommended schedule. The providers of Preferred Pediatrics WILL NOT sign a medical exemption required by the state for school entry. There are medically recognized contradictions that will be an exception determined by the provider. Any discussion specifically regarding immunizations needs to be a separate office visit to allow time to properly educate and review the recommended schedule. Preferred Pediatrics acknowledges your rights as parents/guardians to make any and all healthcare decisions for your children. Alternate schedules can be used if the patient/parent and provider both agree on the alternate schedule.